In his recent article in EES, John B. Goodenough gives his views on the challenges, limitations and future prospects of Li-ion battery technology – and how such technology can be used to promote a sustainable modern society. Li-ion batteries have helped shape modern society by facilitating the wireless revolution; powering mobile phones, laptops and tablet-computers, as well as other portable electronic devices. Advanced batteries are also helping facilitate the on-going green revolution, with technologies such as plug-in electric vehicles and grid-scale renewable energy storage heavily dependent on the performance of electrochemical energy storage systems. In this interesting and informative article, John B. Goodenough gives a critical assessment of the current limitations of Li-ion technology, and highlights some developing strategies which may overcome these limitations. He emphasises that, relative to current battery systems, improvements in terms of energy- and power-density, manufacturing cost, safety, and charging-time must be made before emerging green technologies, such as plug-in electric vehicles, can really take off. He notes that significant improvements could be made in a number of key areas of Li-ion technology, including: (1) the development of alternative liquid electrolytes, with greater electrochemical stability windows; (2) replacing the liquid electrolyte altogether, with a stable, Li-ion conducting, solid-oxide material; (3) employing nanotechnology and conductive mesoporous structures to enhance the performance of the cathode; and (4) replacing the graphite anode with high capacity Li-alloy forming materials, such as silicon, encapsulated within conductive carbon or polymer matrixes. 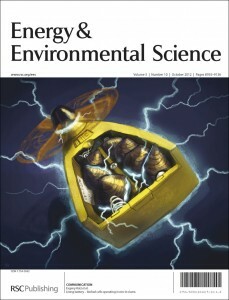 The article ends by postulating the prospect of electrochemical energy storage systems beyond established Li-ion technology, discussing the merits and shortcomings of novel approaches such as the Li-Sulfur and Li-Air batteries, as well as solid oxide fuel cells. 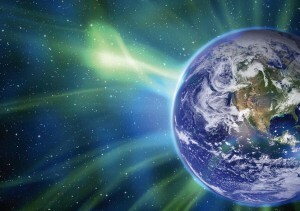 But will such advancements be Good-enough to overcome the challenges of a sustainable modern society? The question remains open. We would like to share with you a selection of recent articles published in the Royal Society of Chemistry journals Energy & Environmental Science (EES), Nanoscale and Physical Chemistry Chemical Physics (PCCP) in the area of biotechnology. You can read these articles for free for a limited period by clicking on the links below. 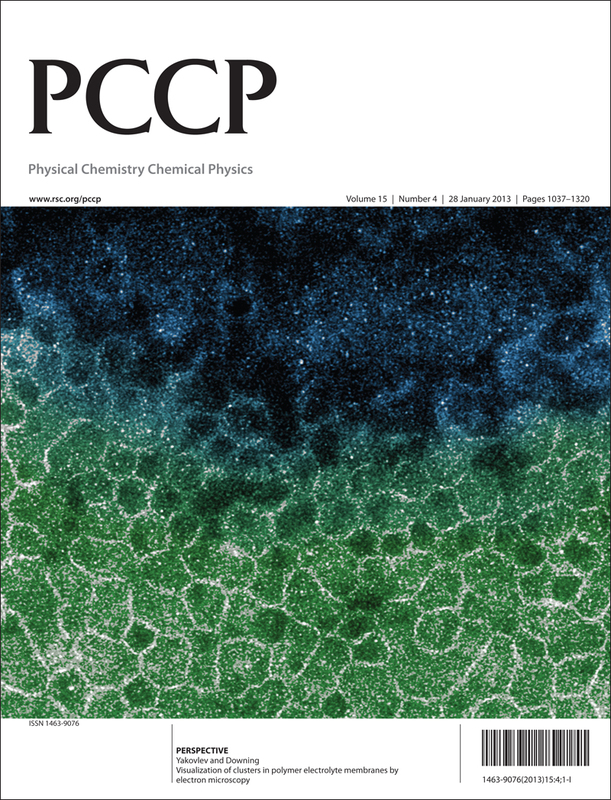 EES, Nanoscale and PCCP are high-impact journals published on a not-for-profit ethos for the benefit of the wider scientific community. Sign up to receive the latest news from your favourite journals. With an Impact Factor of 11.65, which is rising fast, EES is the ideal place to publish your research. 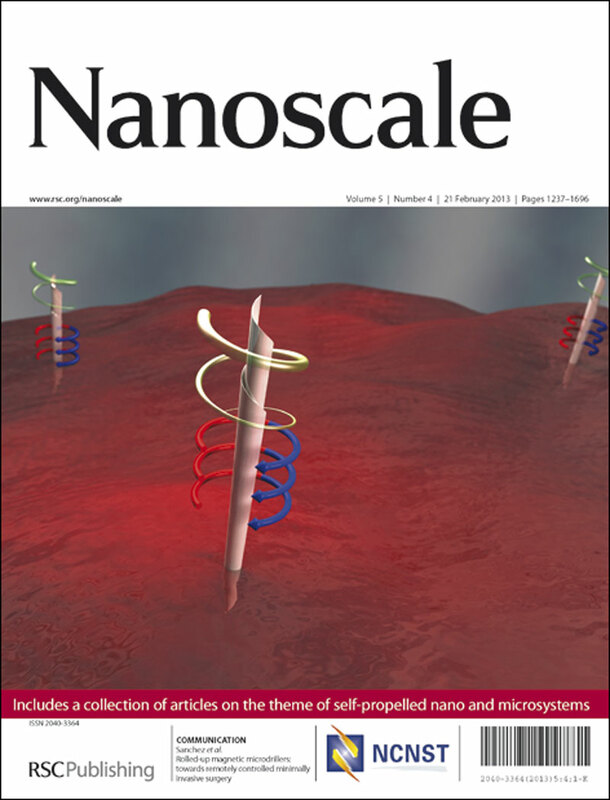 Nanoscale publishes community-spanning research across the fields of nanoscience and nanotechnology. Its Impact Factor is currently 6.23. FREE: Recombinant antibody mediated delivery of organelle-specific DNA pH sensors along endocytic pathways. 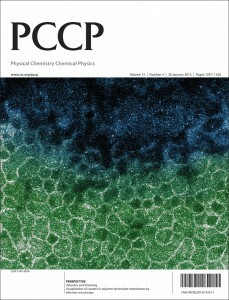 PCCP is committed to publishing the best research across physical chemistry, chemical physics and biophysical chemistry. You can now find “Altmetric” data for articles in Energy & Environmental Science on our website, alongside information about citations to our articles. With a constantly changing publishing landscape and changes to the way people use scientific literature, altmetrics is a measure that can monitor the level of conversation and interest in a particular piece of research at the article level. The different colours in the Altmetric “donut” indicate the number of times the article has been mentioned on Twitter, Facebook, newspapers, blogs and other outlets. Check out the “Metrics” tab on each article page for more information. So get involved: tweet about your latest article, share a link to an interesting review on Facebook, and spread the word about some of the excellent science being published. 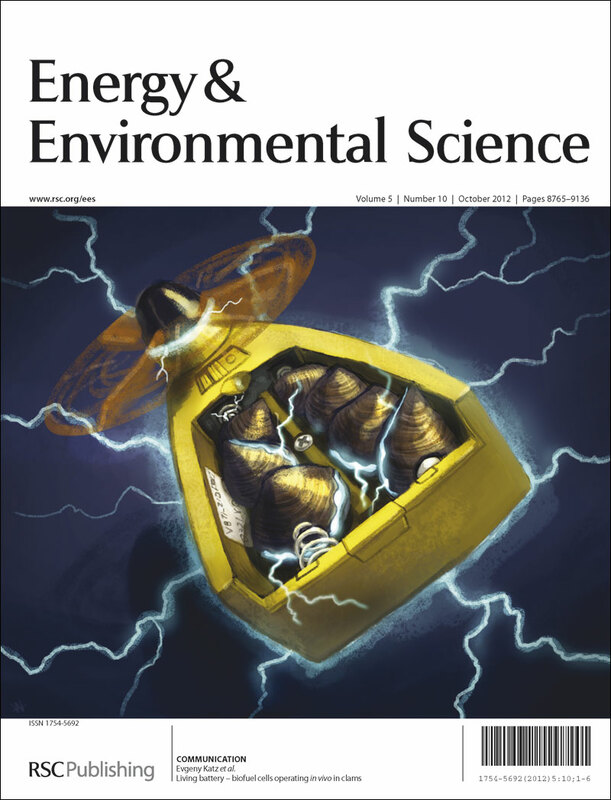 Energy & Environmental Science is on Twitter (@EES_journal) and Facebook (www.facebook.com/RSCEES), tweeting and posting about events you may find interesting as well as our latest hot articles and news. If you are using these social media sites too, please do follow/like us. We are interested to hear your feedback on this new development and how you are utilising these new types of metrics. Please get in touch by email (ees-rsc@rsc.org). 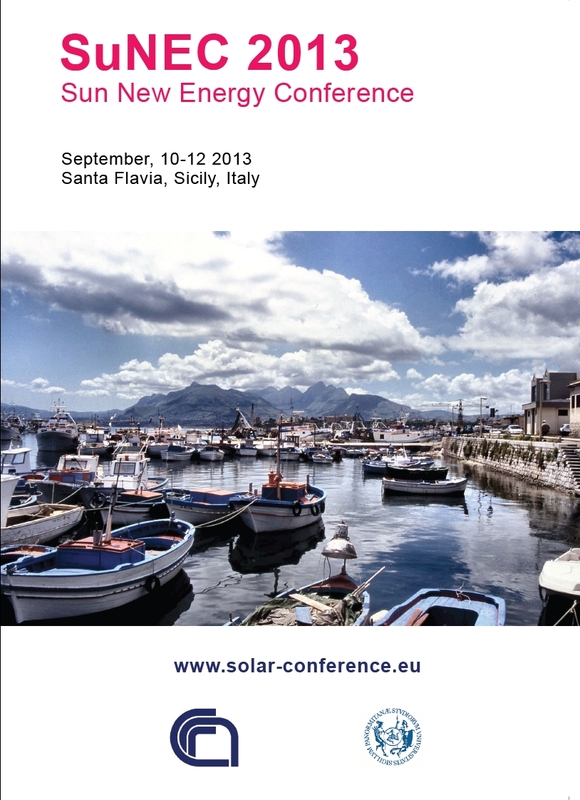 Jointly organized by the Institute of Nanostructured Materials of Italy’s Research Council (CNR) and by Palermo’s University Department of Electrical Engineering (DEIM), the third “SuNEC – Sun New Energy Conference” was held in Santa Flavia, Sicily, on September 10-12, 2013. The lectures, oral presentations and poster presentations highlighted approaches to exploit solar energy, including concentrated solar power, thin-film photovoltaics, artifical photosynthesis and solar thermal energy. Invited speakers at SuNEC 2013 included Yu A. Baurov (Russian Academy of the Sciences), Wai-Yeung Wong (Hong Kong Baptist University) Antonino S. Aricò (CNR, Italy), Francesco Meneguzzo (CNR, Italy) as well as novelist and thinker Ottavio Cappellani (Catania, Italy). The winner of the 2013 Poster presentation was Maria Rita Girolamo. The 4th edition of the SuNEC Conference will be held in Sicily again, on the 8-10th September 2014. 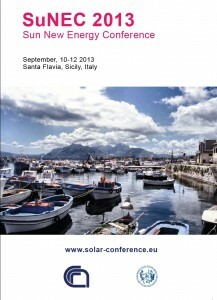 Interested scientists can easily register online at www.solar-conference.eu. You might also be interested in our solar fuels and solar photovoltaics collections. 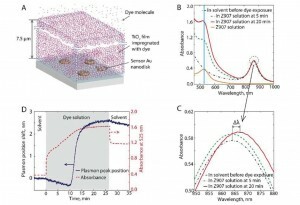 Researchers led by Professor Christoph Langhammer have developed a novel tool based on indirect nanoplasmonic sensing for in situ studies of dye-sensitized solar cells (DSSCs). Their work elucidates the kinetics of dye impregnation into mesoporous TiO2, known to be a critical step in fabrication of DSSCs and therefore important for scale-up of DSSCs. DSSCs offer a potentially low-cost, aesthetically appealing alternative to conventional silicon based technologies. The key components of a cell are a TiO2 film filled with a densely packed monolayer of photon absorbing dye molecules and an electrolyte. Mechanism-oriented tools and studies are needed to understand how to reproducibly form an optimal dye monolayer on the TiO2 and how to make the DSSC fabrication process compatible with industrial demands. Langhammer’s group has done exactly that by using a new method to follow the dye impregnation process in detail. 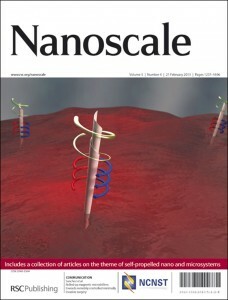 The researchers use Hidden Interface-Indirect Nanoplasmonic Sensing (HI-INPS), a technique that uses the localized surface plasmon resonance of Au nanoparticles (coated with a thin dielectric layer). When illuminated with near-visible light, their sensitivity to dielectric changes. This sensitivity is short- ranged, typically within 50–100 nm from the sensor particle surface. Therefore if a thick layer of material, like mesoporous TiO2, is deposited onto such a sensor chip, the plasmonic Au sensor particles probe the hidden interface region between the sensor chip surface and the sample material. HI-INPS is a neat way to monitor the dye molecule adsorption without disturbing the DSSC. They use a combination of quantitative experimental data for the time it takes the dye molecules to diffuse with a simple theoretical model incorporating fast adsorption and diffusion through the porous system, to get values for the effective diffusion coefficient in the porous structure. They have successfully demonstrated the HI-INPS technique in the context of DSSCs. The technique is very general and has a lot potential in other diffusion studies in nano- and microporous materials. Our next free, one hour, interactive Chemistry World Webinar, being streamed on Thursday 24 October at 12:00 (BST), will provide a short overview of the open innovation concept, the best practice and platforms. Renewable Energy Storage in Biomass? Researchers at TU Braunschweig under the direction of Professor Uwe Schröder have demonstrated highly selective electrochemical hydrogenation of two furanics, common biomass derivatives. Chemical hydrogenation of biomass substrates can be a difficult prospect. High pressures of H2 at high temperature would make any chemist with a reasonable expectation of longevity understandably squeamish. According to research from the University of Technology at Braunschweig, a potentiostat may be the organic chemist’s best friend. In their recent article in EES, the authors, Schröder and Nilges, demonstrate the electrochemical conversion of furfural and 5-hydroxymethylfurfural to 2-methylfuran and 2,5-dimethylfuran, respectively. These substrates are derived from lignocellulosic biomass or from polysaccharides such as cellulose and starch. By demonstrating selective electroorganic reduction at copper and lead electrodes, this work opens the possibility of inexpensive electrochemical reactors that could improve the value of biomass-derived compounds. One main problem is the competing hydrogen evolution reaction (HER). This is a common hurdle for reductive electrochemistry on most electrode surfaces and can severely limit Faradaic efficiency. The authors report that for this system, running high concentrations (500 mM) of substrate can reduce percentage of electrons lost to HER. While this presents a challenge for scaling-up, these products actually separate from the aqueous electrolyte solution, forming another phase that is relatively easy to remove. Looking to the future, this work represents an intriguing combination of renewable energy strategies – using renewable sources of energy to convert biomass to more useful or at least more energy dense chemicals. Certainly, the energy future poses some daunting challenges that resist any single silver bullet. By combining renewable energy storage with biofuel substrates, some challenging steps in both fields might be avoidable. Researchers from Sweden have demonstrated a process where the crucial 10 % solar-to-hydrogen (STH) efficiency threshold – required for a device to be considered commercially viable – is met by connecting a number of solar-absorbers in series along with a Pt-based catalyst. Harnessing the power of the sun to directly split water in order to produce hydrogen is anticipated to be an important process in post-carbon, green economies. Normally there is a trade-off between high solar-absorption and high water splitting efficiency due to the mismatch between the energy required for water splitting (about 2 eV) and the most efficient band-gap for harvesting solar light (about 1.35 eV). In their recent article, the research group from Uppsala University have overcome this problem by interconnecting 3 cells, based on the semiconductor CuInxGa1-xSe2 (CIGS), into a single monolithic device. By placing the semiconductors in series, and tuning them for efficient absorption of the solar spectrum (achieved by varying the In:Ga ratio), their device can have both a high solar absorption efficiency and a sufficiently high electrochemical potential to drive the water splitting reaction. Due to the relative simplicity of the approach, the authors suggest that this may be an economically compatible route to green H2 production. What’s more, they claim that this novel approach has room for an increase of several percentage points in STH efficiency, and that it has opened the door to many other photoabsorbers, which were previously disregarded due to too-low band gaps, being re-investigated. In any case, the outlook for this field certainly looks bright. The 2nd International Conference on Clean Energy Sciences (ICCES2) will take place on the 13-16 April 2014 in Qingdao, China. The search for sources of clean energy is becoming increasingly urgent as the supply of available energy from fossil fuels decreases and concerns increase about their environmental impact. Alternative sources of clean energy, such as solar energy and biofuels offer great potential; however there are big challenges to be overcome before current clean energy generation and energy storage technologies make these a viable alternative. This 2nd International Conference on Clean Energy offers a unique opportunity for international researchers to discuss the latest developments in clean energy and energy storage research, and the fundamental issues surrounding the scientific challenges faced ahead.